Golden yellow in color. 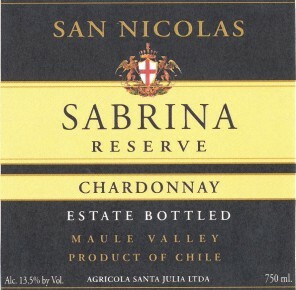 There are aromas of tropical fruit, toasted oak, and vanilla on the nose and palate. It is full-bodied with a nutty and lingering finish. Ideal with cooked fish, poultry, and fresh cheeses. Malolactic fermentation in stainless steel tanks at a controlled temperature. For 6 months in small oak barrels.